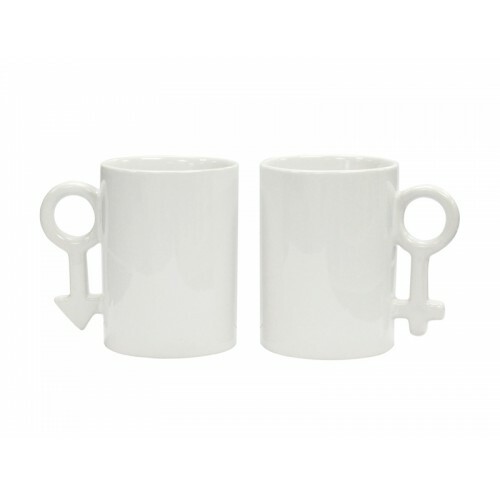 Ceramic Mug, 10oz, a pair of matched handle representing boy and girl. 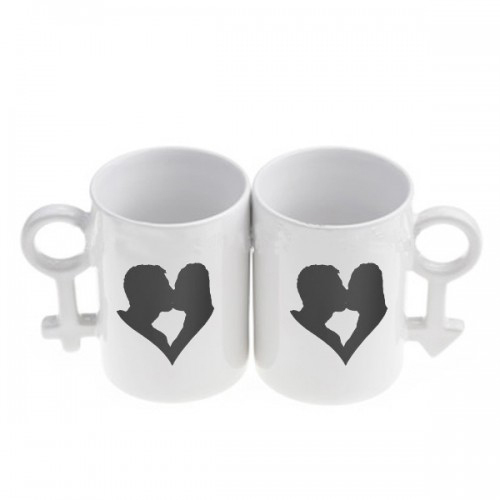 Love mug as gifts to people in love. Well coated for sublimation printing, hand wash recommended. Capture your most beautiful pictures, designs or other imagination to make it the only one in the world. Size: 10 oz, D3.23" x H3.75"
Note: This Product is sold in pair!